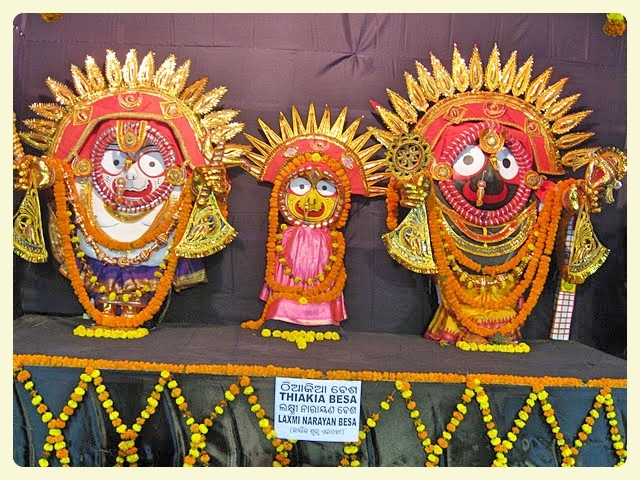 On Kartik sukla Ekadasi , the deities are dressed in royal manner as Sri Visnu and Lakshmi. 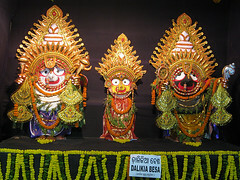 the other name of this Besha is Thiakia Besha. 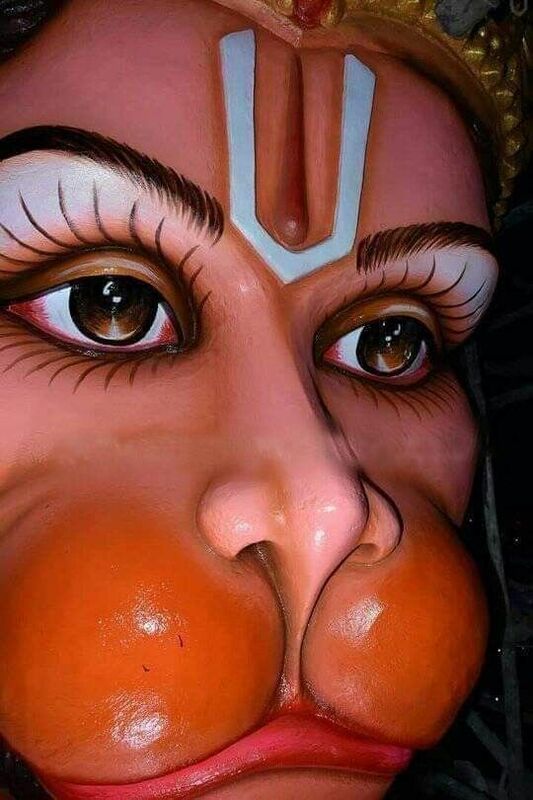 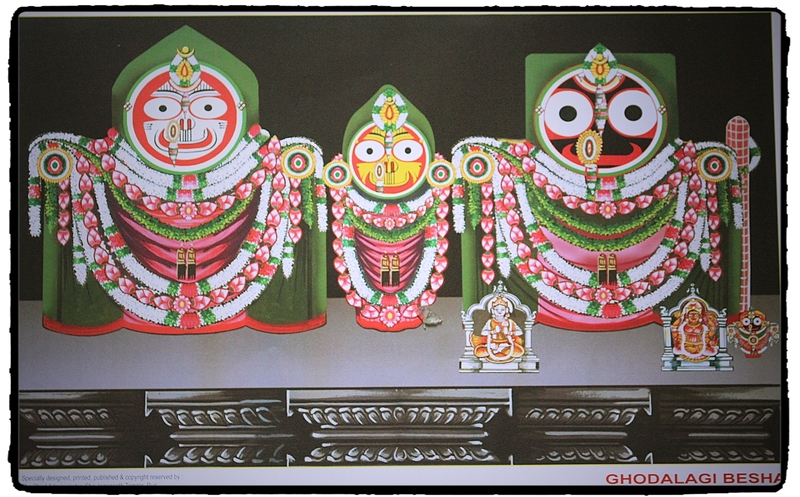 It is said that Sri Nimbakacharya in 12th century introduced this Besha. 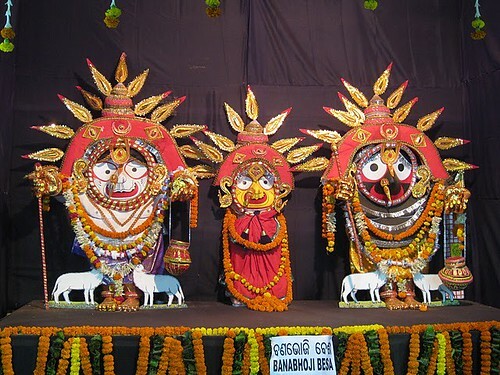 Lord Jagannath as dressed as Visnu with Sankha and Chakra and Lord Balavadra with bow and arrow and Maa Subhadra appears with hands and legs and sits like a queen.